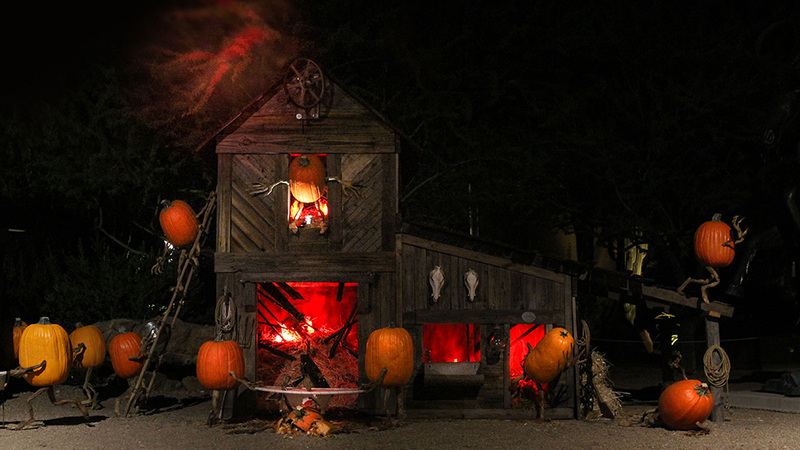 Since 2016, I’ve been part of the Villafane Studios sculpting team who create The Enchanted Pumpkin Garden in the town of Carefree, Arizona. 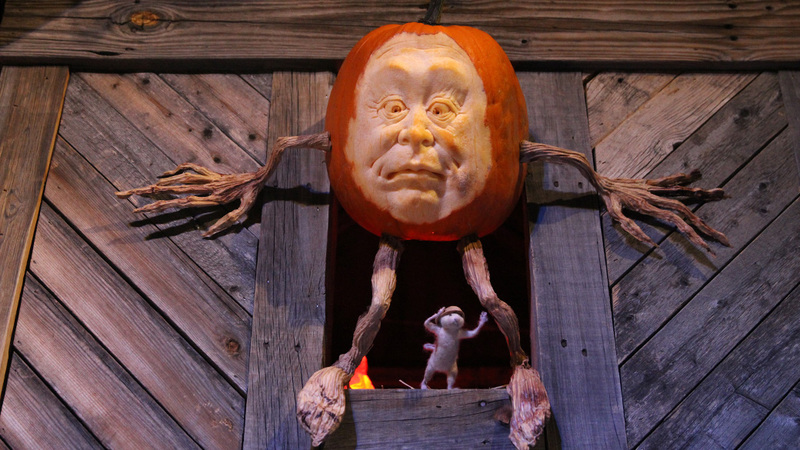 This festival is a 10-day event, and even though it features Halloween themes, it’s unlike any other in the world. 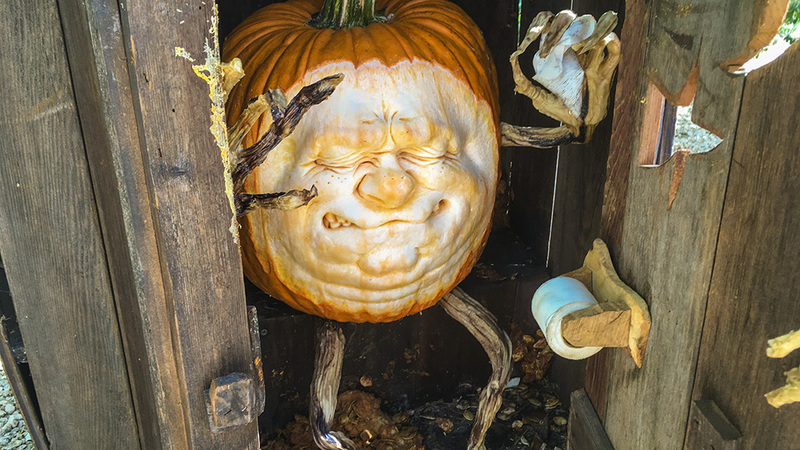 The 5-acre public desert garden is transformed into a world inhabited by pumpkins, scarecrows, mice, and assorted carved vegetables. Each whimsical vignette tells part of the larger story, which is updated each year. Scarecrows Gourdy Ghouligan and Antoshska on the main stage. 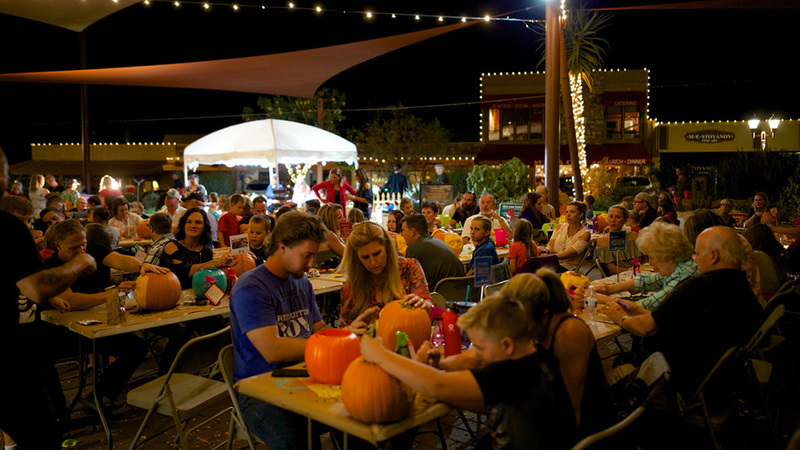 Family Nights: pumpkin carving workshops for all ages. Fireworks were for sale in the Pumpkin Town General Store. 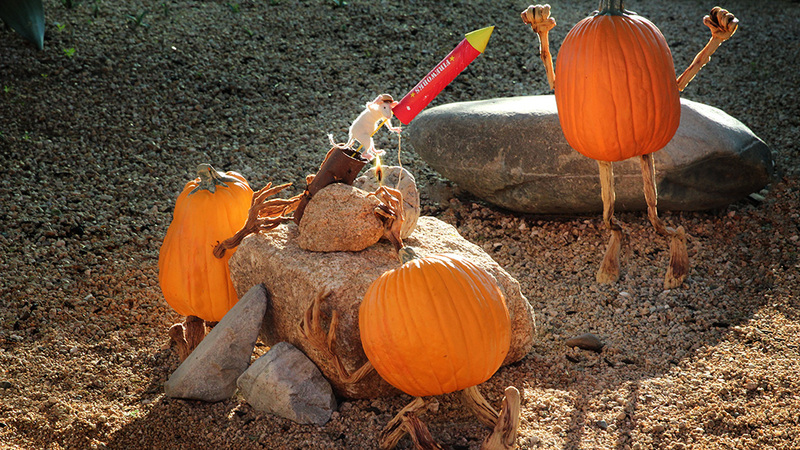 The more thrill seeking mice decided to ride bottle rockets… One bottle rocket crashed through the hayloft of the Pumpkin Town barn, setting fire to the whole barn. A bucket brigade and rescue team were called to action while startled pumpkins ran for their lives. 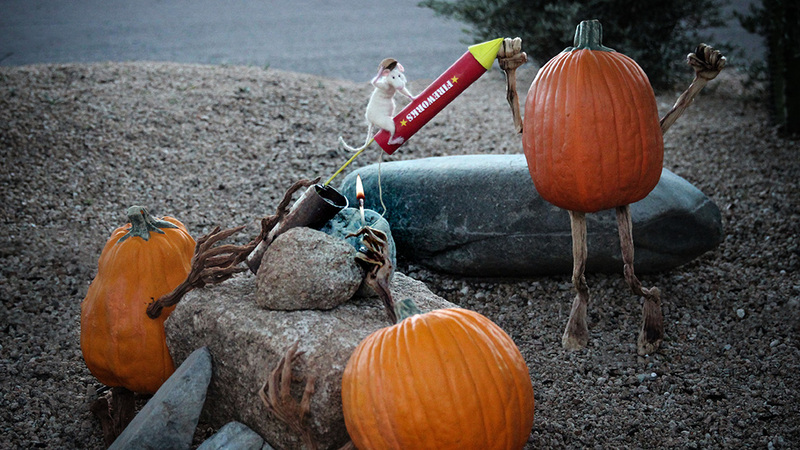 A pumpkin and the rocket riding mouse prepare to leap from the burning hayloft. 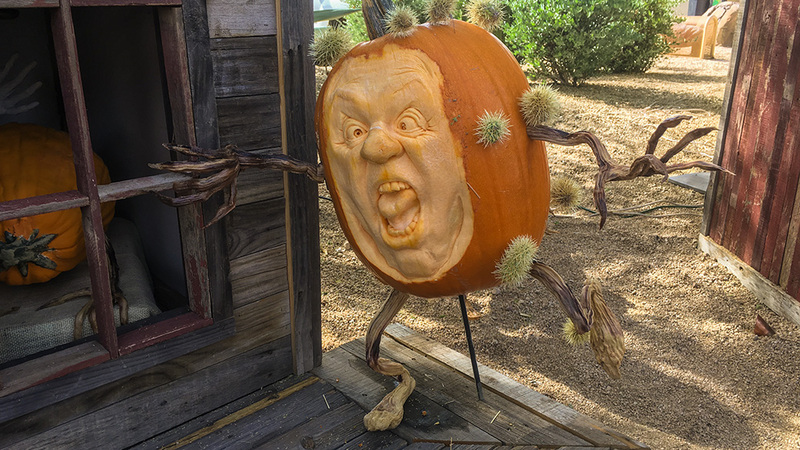 A cholla cactus-covered pumpkin staggers into the Pumpkin Town Hospital. 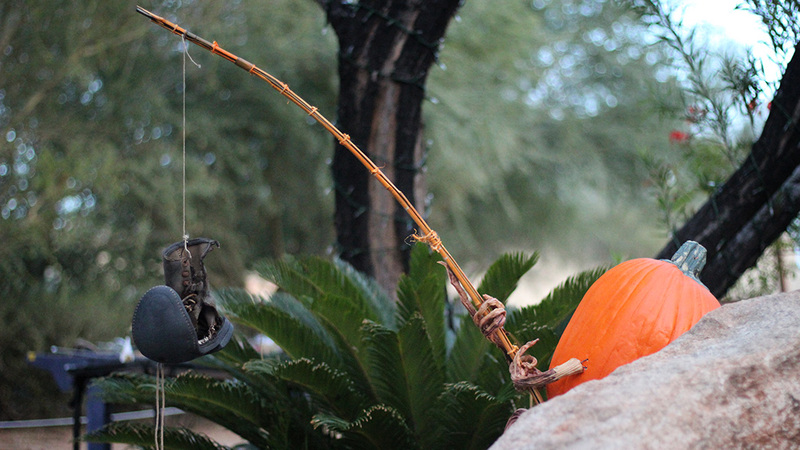 A pumpkin relaxes for a day of fishing. 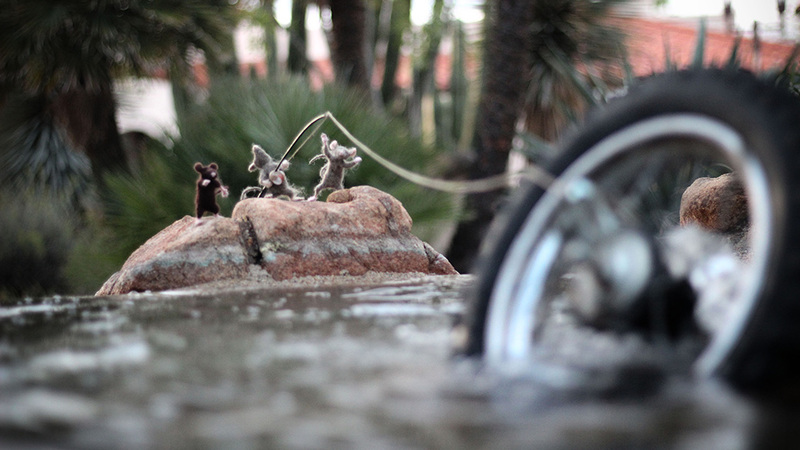 A group of mice reel in their own catch at The Fishing Hole. The Outhouse vignette is a perennial crowd favorite. And usually occupied.